of misery, certain of being destined to sambodhi. Thus, bhikkhus, is a bhikkhu sampajāno. Sato should you remain, bhikkhus, and sampajānos. This is our intruction to you. are strewn upon it in worship of the Tathagata. And celestial coral flowers and heavenly sandalwood powder from the sky rain down upon the body of the Tathagata, and drop and scatter and are strewn upon it in worship of the Tathagata. And the sound of heavenly voices and heavenly instruments makes music in the air out of reverence for the Tathagata. It is not by this, Ānanda, that the Tathāgata is respected, venerated, esteemed, paid homage and honored. But, Ananda, any bhikkhu or bhikkhuni, layman or laywoman, remaining dhamm’ānudhamma’p’paṭipanna, sāmīci’p’paṭipanna, living in accordance with the Dhamma, that one respects, venerates, esteems, pays homage, and honors the Tathāgata with the most excellent homage. Therefore, Ānanda, you should train yourselves thus: ‘We will remain dhamm’ānudhamma’p’paṭipanna, sāmīci’p’paṭipanna, living in accordance with the Dhamma’. ‘To some of you, Ānanda, it may occur thus: ‘The words of the Teacher have ended, there is no longer a Teacher’. But this, Ānanda, should not, be so considered. That, Ānanda, which I have taught and made known to you as the Dhamma and the Vinaya, that will be your Teacher after my passing away. of instructions for us nowadays. bhikkhu abhikkante paṭikkante sampajānakārī hoti, ālokite vilokite sampajānakārī hoti, samiñjite pasārite sampajānakārī hoti, saṅghāṭipattacīvaradhāraṇe sampajānakārī hoti, asite pīte khāyite sāyite sampajānakārī hoti, uccārapassāvakamme sampajānakārī hoti, gate ṭhite nisinne sutte jāgarite bhāsite tuṇhībhāve sampajānakārī hoti. Evaṃ kho, bhikkhave, bhikkhu sampajāno hoti. Sato, bhikkhave, bhikkhu vihareyya sampajāno. Ayaṃ vo amhākaṃ anusāsanī ti. the Buddha; the Buddhist scriptures; religion) with reference to the seven bojjhaṅgas(Member or constituent of bodhi, there are seven bojjhaṅgas or requisites for attaining the supreme knowledge of a buddha)? reflection, consciousness as a Member or constituent of bodhi, there are seven bojjhaṅgas or requisites for attaining the supreme knowledge of a buddha) is developed to perfection. There being the dhammavicaya sambojjhaṅga(Investigation of doctrine, religious research as a Member or constituent of bodhi, there are seven bojjhaṅgas or requisites for attaining the supreme knowledge of a buddha)present within, he understands: “there is the dhammavicaya sambojjhaṅga(Investigation of doctrine, religious research as a Member or constituent of bodhi, there are seven bojjhaṅgas or requisites for attaining the supreme knowledge of a buddha) within me”; there not being the dhammavicaya sambojjhaṅga present within, he understands: “there is no dhammavicaya sambojjhaṅga(Investigation of doctrine, religious research as a Member or constituent of bodhi, there are seven bojjhaṅgas or requisites for attaining the supreme knowledge of a buddha) within me”; he understands how the unarisen dhammavicaya sambojjhaṅga(Investigation of doctrine, religious research as a Member or constituent of bodhi, there are seven bojjhaṅgas or requisites for attaining the supreme knowledge of a buddha) comes to arise; he understands how the arisen dhammavicaya sambojjhaṅga(Investigation of doctrine, religious research as a Member or constituent of bodhi, there are seven bojjhaṅgas or requisites for attaining the supreme knowledge of a buddha) is developed to perfection. There being the vīriya sambojjhaṅga(A spreading creeper as a Member or constituent of bodhi, there are seven bojjhaṅgas or requisites for attaining the supreme knowledge of a buddha) present within, he understands: “there is the vīriya sambojjhaṅga(A spreading creeper as a Member or constituent of bodhi, there are seven bojjhaṅgas or requisites for attaining the supreme knowledge of a buddha) within me”; there not being the vīriya sambojjhaṅga(A spreading creeper as a Member or constituent of bodhi, there are seven bojjhaṅgas or requisites for attaining the supreme knowledge of a buddha) present within, he understands: “there is no vīriya sambojjhaṅga(A spreading creeper as a Member or constituent of bodhi, there are seven bojjhaṅgas or requisites for attaining the supreme knowledge of a buddha) within me”; he understands how the unarisen vīriya sambojjhaṅga(A spreading creeper as a Member or constituent of bodhi, there are seven bojjhaṅgas or requisites for attaining the supreme knowledge of a buddha) comes to arise; he understands how the arisen vīriya sambojjhaṅga(A spreading creeper as a Member or constituent of bodhi, there are seven bojjhaṅgas or requisites for attaining the supreme knowledge of a buddha) is developed to perfection. There being the pīti sambojjhaṅga(Drinking as a Member or constituent of bodhi, there are seven bojjhaṅgas or requisites for attaining the supreme knowledge of a buddha)present within, he understands: “there is the pīti sambojjhaṅga(Drinking as a Member or constituent of bodhi, there are seven bojjhaṅgas or requisites for attaining the supreme knowledge of a buddha) within me”; there not being the pīti sambojjhaṅga(Drinking as a Member or constituent of bodhi, there are seven bojjhaṅgas or requisites for attaining the supreme knowledge of a buddha) present within, he understands: “there is no pīti sambojjhaṅga(Drinking as a Member or constituent of bodhi, there are seven bojjhaṅgas or requisites for attaining the supreme knowledge of a buddha) within me”; he understands how the unarisen pīti sambojjhaṅga(Drinking as a Member or constituent of bodhi, there are seven bojjhaṅgas or requisites for attaining the supreme knowledge of a buddha) comes to arise; he understands how the arisen pīti sambojjhaṅga(Drinking as a Member or constituent of bodhi, there are seven bojjhaṅgas or requisites for attaining the supreme knowledge of a buddha) is developed to perfection. There being the passaddhi(Calming down, calmness, repose, tranquillity sambojjhaṅga as a Member or constituent of bodhi, there are seven bojjhaṅgas or requisites for attaining the supreme knowledge of a buddha)present within, he understands: “there is the passaddhi sambojjhaṅga(Calming down, calmness, repose, tranquillity sambojjhaṅga as a Member or constituent of bodhi, there are seven bojjhaṅgas or requisites for attaining the supreme knowledge of a buddha) within me”; there not being the passaddhi sambojjhaṅga(Calming down, calmness, repose, tranquillity sambojjhaṅga as a Member or constituent of bodhi, there are seven bojjhaṅgas or requisites for attaining the supreme knowledge of a buddha) present within, he understands: “there is no passaddhi sambojjhaṅga(Calming down, calmness, repose, tranquillity sambojjhaṅga as a Member or constituent of bodhi, there are seven bojjhaṅgas or requisites for attaining the supreme knowledge of a buddha) within me”; he understands how the unarisen passaddhi sambojjhaṅga(Calming down, calmness, repose, tranquillity sambojjhaṅga as a Member or constituent of bodhi, there are seven bojjhaṅgas or requisites for attaining the supreme knowledge of a buddha) comes to arise; he understands how the arisen passaddhi sambojjhaṅga(Calming down, calmness, repose, tranquillity sambojjhaṅga as a Member or constituent of bodhi, there are seven bojjhaṅgas or requisites for attaining the supreme knowledge of a buddha) is developed to perfection. There being the samādhi sambojjhaṅga(Agreement, peace, reconciliation; tranquillity, self-concentration, calm as a Member or constituent of bodhi, there are seven bojjhaṅgas or requisites for attaining the supreme knowledge of a buddha)present within, he understands: “there is the samādhi sambojjhaṅga(Agreement, peace, reconciliation; tranquillity, self-concentration, calm as a Member or constituent of bodhi, there are seven bojjhaṅgas or requisites for attaining the supreme knowledge of a buddha) within me”; there not being the samādhi sambojjhaṅga(Agreement, peace, reconciliation; tranquillity, self-concentration, calm as a Member or constituent of bodhi, there are seven bojjhaṅgas or requisites for attaining the supreme knowledge of a buddha) present within, he understands: “there is no samādhi sambojjhaṅga within me”; he understands how the unarisen samādhi sambojjhaṅga(Agreement, peace, reconciliation; tranquillity, self-concentration, calm as a Member or constituent of bodhi, there are seven bojjhaṅgas or requisites for attaining the supreme knowledge of a buddha) comes to arise; he understands how the arisen samādhi sambojjhaṅga(Agreement, peace, reconciliation; tranquillity, self-concentration, calm as a Member or constituent of bodhi, there are seven bojjhaṅgas or requisites for attaining the supreme knowledge of a buddha) is developed to perfection. There being the upekkhā sambojjhaṅga(Indifference to pain and pleasure, equanimity, resignation, stoicism as a Member or constituent of bodhi, there are seven bojjhaṅgas or requisites for attaining the supreme knowledge of a buddha)present within, he understands: “there is the upekkhā sambojjhaṅga(Indifference to pain and pleasure, equanimity, resignation, stoicism as a Member or constituent of bodhi, there are seven bojjhaṅgas or requisites for attaining the supreme knowledge of a buddha) within me”; there not being the upekkhā sambojjhaṅga(Indifference to pain and pleasure, equanimity, resignation, stoicism as a Member or constituent of bodhi, there are seven bojjhaṅgas or requisites for attaining the supreme knowledge of a buddha) present within, he understands: “there is no upekkhā sambojjhaṅga(Indifference to pain and pleasure, equanimity, resignation, stoicism as a Member or constituent of bodhi, there are seven bojjhaṅgas or requisites for attaining the supreme knowledge of a buddha) within me”; he understands how the unarisen upekkhā sambojjhaṅga(Indifference to pain and pleasure, equanimity, resignation, stoicism as a Member or constituent of bodhi, there are seven bojjhaṅgas or requisites for attaining the supreme knowledge of a buddha) comes to arise; he understands how the arisen upekkhā sambojjhaṅga(Indifference to pain and pleasure, equanimity, resignation, stoicism as a Member or constituent of bodhi, there are seven bojjhaṅgas or requisites for attaining the supreme knowledge of a buddha) is developed to perfection. the Buddha; the Buddhist scriptures; religion) , with reference to the seven bojjhaṅgas(Member or constituent of bodhi, there are seven bojjhaṅgas or requisites for attaining the supreme knowledge of a buddha). பிக்காவெ பிக்கு, தம்மேஸு தம்மானுபஸ்ஸி விஹாரதி, ஸட்டஸ்ஸு பொஜ்ஜங்கெஸு? சதி-ஸம்பொஜகஸ்ஸ பாவனாய பாரிபூரி ஹோதி தங் ச பஜானதி. வீர்ய-ஸம்பொஜகஸ்ஸ பாவனாய பாரிபூரி ஹோதி தங் ச பஜானதி. உப்பன்னஸ்ஸ பீதி-ஸம்பொஜகஸ்ஸ பாவனாய பாரிபூரி ஹோதி தங் ச பஜானதி. உப்பன்னஸ்ஸ பஸ்ஸத்தி-ஸம்பொஜகஸ்ஸ பாவனாய பாரிபூரி ஹோதி தங் ச பஜானதி. உப்பன்னஸ்ஸ உபெக்க-ஸம்பொஜகஸ்ஸ பாவனாய பாரிபூரி ஹோதி தங் ச பஜானதி. பிக்கு, தம்மேஸு தம்மானுபஸ்ஸி விஹாரதி,ஸட்டஸ்ஸு பொஜ்ஜங்கெஸு. के संदर्भ में · saccas (उदात्त में सच्चाई नोबल सत्य)? क्या, bhikkhus, dukkha (दुख की समाप्ति, निब्बाण (अंतिम क्या, सहमत है? the Buddha; the Buddhist scriptures; religion) with reference to the four ariya·saccas (Sublime truth, Noble truths)? And what, bhikkhus, is the dukkha ariyasacca (Cessation of suffering, nibbāṇa(Ultimate Goal for Eternal Bliss)Sublime truth, Noble truth))? Jāti(Birth; a birth or existence in the Buddhist sense, re-birth, renewed existence; lineage, family, caste; sort, kind, variety) is dukkha(Cessation of suffering, nibbāṇa(Ultimate Goal for Eternal Bliss)Sublime truth, Noble truth), aging is dukkha(Cessation of suffering, nibbāṇa(Ultimate Goal for Eternal Bliss)Sublime truth, Noble truth) (sickness is dukkha(Cessation of suffering, nibbāṇa(Ultimate Goal for Eternal Bliss)Sublime truth, Noble truth)) maraṇa(Dying, death) is dukkha(Cessation of suffering, nibbāṇa(Ultimate Goal for Eternal Bliss)Sublime truth, Noble truth), sorrow, lamentation, dukkha(Cessation of suffering, nibbāṇa(Ultimate Goal for Eternal Bliss)Sublime truth, Noble truth), domanassa(Dejection, gloom, melancholy) and distress is dukkha(Cessation of suffering, nibbāṇa(Ultimate Goal for Eternal Bliss)Sublime truth, Noble truth), association with what is disliked is dukkha(Cessation of suffering, nibbāṇa(Ultimate Goal for Eternal Bliss)Sublime truth, Noble truth), dissociation from what is liked is dukkha(Cessation of suffering, nibbāṇa(Ultimate Goal for Eternal Bliss)Sublime truth, Noble truth), not to get what one wants is dukkha(Cessation of suffering, nibbāṇa(Ultimate Goal for Eternal Bliss)Sublime truth, Noble truth); in short, the five upādāna·k·khandhas(Firewood, fuel; clinging to existence, attachment) are dukkha(Cessation of suffering, nibbāṇa(Ultimate Goal for Eternal Bliss)Sublime truth, Noble truth). cause, origin). This, bhikkhus, is called jāti(Birth; a birth or existence in the Buddhist sense, re-birth, renewed existence; lineage, family, caste; sort, kind, variety). hair, of being wrinkled, the decline of vitality, the decay of the indriyas( Restraint or subjugation of the senses): this, bhikkhus, is called jarā(Old age, decrepitude, decay). And what, bhikkhus, is maraṇa(Dying, death)? disappearance, the death, maraṇa(Dying, death), the passing away, the break up of the khandhas(own), the laying down of the corpse: this, bhikkhus, is called maraṇa(Dying, death). the Buddha; the Buddhist scriptures; religion)), the sorrrow, the mourning, the state of grief, the inner sorrow, the inner great sorrow: this, bhikkhus, is called sorrow. crying, the state of lamentating: this, bhikkhus, is called lamentation. And what, bhikkhus, is dukkhaCessation of suffering, nibbāṇa(Ultimate Goal for Eternal Bliss)? Whatever, bhikkhus, bodily dukkha(Cessation of suffering, nibbāṇa(Ultimate Goal for Eternal Bliss), bodily unpleasantness, dukkha(Cessation of suffering, nibbāṇa(Ultimate Goal for Eternal Bliss) engendered by bodily contact, unpleasant vedayitas(To know, ascertain): this, bhikkhus, is called dukkha(Cessation of suffering, nibbāṇa(Ultimate Goal for Eternal Bliss). And what, bhikkhus, is domanassa(Dejection, gloom, melancholy)? Whatever, bhikkhus, mental dukkha(Cessation of suffering, nibbāṇa(Ultimate Goal for Eternal Bliss),, mental unpleasantness, dukkha(Cessation of suffering, nibbāṇa(Ultimate Goal for Eternal Bliss), engendered by mental contact, unpleasant vedayitas(To know, ascertain): this, bhikkhus, is called domanassa(Dejection, gloom, melancholy). the Buddha; the Buddhist scriptures; religion)),, the trouble, the despair, the state of being in trouble, the state of being in despair: this, bhikkhus, is called despair. them: this, bhikkhus, is called the dukkha(Cessation of suffering, nibbāṇa(Ultimate Goal for Eternal Bliss) of being associated with what is disagreeable. bhikkhus, is called the dukkha(Cessation of suffering, nibbāṇa(Ultimate Goal for Eternal Bliss) of being dissociated from what is agreeable. not be jāti(Birth; a birth or existence in the Buddhist sense, re-birth, renewed existence; lineage, family, caste; sort, kind, variety) for us, and really, may we not come to jāti(Birth; a birth or existence in the Buddhist sense, re-birth, renewed existence; lineage, family, caste; sort, kind, variety).” But this is not to be achieved by wishing. This is the dukkha(Cessation of suffering, nibbāṇa(Ultimate Goal for Eternal Bliss) of not getting what one wants. In beings, bhikkhus, having the characteristic of getting old, such a wish arises: “oh really, may there not be jarā(Old age, decrepitude, decay) for us, and really, may we not come to jarā(Old age, decrepitude, decay).” But this is not to be achieved by wishing. This is the dukkha(Cessation of suffering, nibbāṇa(Ultimate Goal for Eternal Bliss) of not getting what one wants. may we not come to sickness.” But this is not to be achieved by wishing. This is the dukkha(Cessation of suffering, nibbāṇa(Ultimate Goal for Eternal Bliss) of not getting what one wants. In beings, bhikkhus, having the characteristic of getting old, such a wish arises: “oh really, may there not be maraṇa(Dying, death) for us, and really, may we not come to maraṇa(Dying, death).” But this is not to be achieved by wishing. This is the dukkha(Cessation of suffering, nibbāṇa(Ultimate Goal for Eternal Bliss) of not getting what one wants. In beings, bhikkhus, having the characteristic of sorrow, lamentation, dukkha(Cessation of suffering, nibbāṇa(Ultimate Goal for Eternal Bliss), domanassa and distress, such a wish arises: “oh really, may there not be sorrow, lamentation, dukkha(Cessation of suffering, nibbāṇa(Ultimate Goal for Eternal Bliss), domanassa(Dejection, gloom, melancholy) and distress for us, and really, may we not come to sorrow, lamentation, dukkha(Cessation of suffering, nibbāṇa(Ultimate Goal for Eternal Bliss), domanassa(Dejection, gloom, melancholy) and distress.” But this is not to be achieved by wishing. This is the dukkha(Cessation of suffering, nibbāṇa(Ultimate Goal for Eternal Bliss) of not getting what one wants. And what, bhikkhus, are in short the five upādānakkhandhas (Firewood, fuel; clinging to existence, attachment)? They are: the rūpa(Form, figure, shape; image, representation; the body; in gram. a verbal or nominal form; beauty; natural state; characteristic) upādānakkhandha (Firewood, fuel; clinging to existence, attachment), the vedanā(Feeling, sensation, perception; pain, suffering) upādānakkhandha(Firewood, fuel; clinging to existence, attachment), the saññā( Sense, consciousness, perception; intellect, thought; sign, gesture; name) upādānakkhandha(Firewood, fuel; clinging to existence, attachment), the saṅkhāra( Constructing, preparing, perfecting, embellishing; aggregation; matter; karma; the skandhas) upādānakkhandha (Firewood, fuel; clinging to existence, attachment), the viññāṇa( Intelligence, knowledge; consciousness; thought, mind) upādānakkhandha (Firewood, fuel; clinging to existence, attachment). These are called in short, bhikkhus, the five upādānakkhandhas (Firewood, fuel; clinging to existence, attachment). author, translator, and editor of many books on Theravada Buddhism. பிக்காவெ பிக்கு தம்மேஸு தம்மானுபஸ்ஸி விஹாரதி, சதூஸு ஆரிய ஸச்சேஸு ? labhati tam·pi dukkhaṃ; saṅkhittena pañc’upādāna·k·khandhā dukkhā. anto·parisoko, ayaṃ vuccati, bhikkhave, soko. paridevitattaṃ, ayaṃ vuccati, bhikkhave, paridevo. 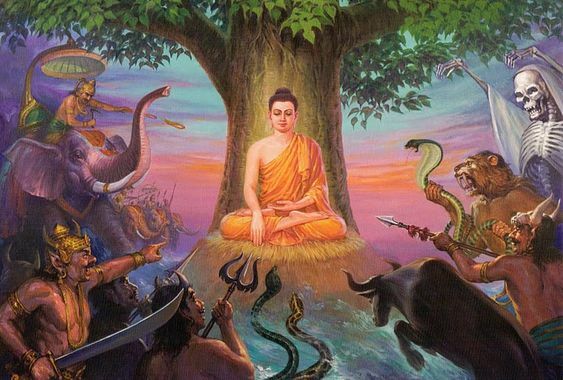 vedayitaṃ, idaṃ vuccati, bhikkhave, dukkhaṃ. dukkhaṃ a·sātaṃ vedayitaṃ, idaṃ vuccati, bhikkhave, domanassaṃ. Katamo ca, bhikkhave, a·p·piyehi sampayogo dukkho? Katamo ca, bhikkhave, piyehi vippayogo dukkho? a·missībhāvo, ayaṃ vuccati, bhikkhave, piyehi vippayogo dukkho. vuccanti, bhikkhave, saṅkhittena pañc’upādāna·k·khandhā dukkhā. Idaṃ vuccati, bhikkhave, dukkhaṃ ariyasaccaṃ. And what, bhikkhus, is the dukkha·nirodha·gāminī paṭipadā ariyasacca? It is just this ariya aṭṭhaṅgika magga, that is to say sammādiṭṭhi, sammāsaṅkappo, sammāvācā, sammākammanto, sammā-ājīvo, sammāvāyāmo, sammāsati and sammāsamādhi. And what, bhikkhus, is sammādiṭṭhi? That, bhikkhus, which is the ñāṇa of dukkha, the ñāṇa of dukkha-samudaya, the ñāṇa of dukkha-nirodha and the ñāṇa of dukkha-nirodha-gāmini paṭipada, that is called, bhikkhus, sammādiṭṭhi. And what, bhikkhus, are sammāsaṅkappas? Those, bhikkhus, which are saṅkappas of nekkhamma, saṅkappas of abyāpāda, saṅkappas of avihiṃsā, those are called, bhikkhus, sammāsaṅkappas. And what, bhikkhus, is sammāvācā? That, bhikkhus, which is abstaining from musāvādā, abstaining from pisuṇa vācā, abstaining from pharusa vācā, and abstaining from samphappalāpa, that is called, bhikkhus, sammāvācā. And what, bhikkhus, is sammā-kammanta? That, bhikkhus, which is abstaining from pāṇātipāta , abstaining from adinnādāna, abstaining from abrahmacariya, that is called, bhikkhus, sammā-kammanta. And what, bhikkhus, is sammā-ājīva? their cultivation and their completion, he exerts himself, rouses his viriya, applies vigorously his citta and strives. This is called, bhikkhus, sammāvāyāma. An what, bhikkhus, is sammāsati? Here, bhikkhus, a bhikkhu dwells observing kāya in kāya, ātāpī sampajāno, satimā, having given up abhijjhā-domanassa towards the world. He dwells observing vedanā in vedanā, ātāpī sampajāno, satimā, having given up abhijjhā-domanassa towards the world. He dwells observing citta in citta, ātāpī sampajāno, satimā, having given up abhijjhā-domanassa towards the world. He dwells observing dhamma·s in dhamma·s, ātāpī sampajāno, satimā, having given up abhijjhā-domanassa towards the world. This is called, bhikkhus, sammāsati. sati, having entered in the fourth jhāna, he abides therein. This is called, bhikkhus, sammāsamādhi. This is called, bhikkhus, the dukkha·nirodha·gāminī paṭipadā ariyasacca. Thus he dwells observing dhammas in dhammas internally, or he dwells observing dhammas in dhammas externally, or he dwells observing dhammas in dhammas internally and externally; he dwells observing the samudaya of phenomena in dhammas, or he dwells observing the passing away of phenomena in dhammas, or he dwells observing the samudaya and passing away of phenomena in dhammas; or else, [realizing:] “these are dhammas!” sati is present in him, just to the extent of mere ñāṇa and mere paṭissati, he dwells detached, and does not cling to anything in the world. Thus, bhikkhus, a bhikkhu dwells observing dhammas in dhammas, with reference to the four ariya·saccas. Katamaṃ ca, bhikkhave, dukkha·nirodha·gāminī paṭipadā ariya·saccaṃ? Ayam·eva ariyo aṭṭhaṅgiko maggo, seyyathidaṃ sammādiṭṭhi, sammāsaṅkappo, sammāvācā, sammākammanto, sammā-ājīvo, sammāvāyāmo, sammāsati, sammāsamādhi. Katamā ca, bhikkhave, sammādiṭṭhi? Yaṃ kho, bhikkhave, dukkhe ñāṇaṃ, dukkha-samudaye ñāṇaṃ , dukkha-nirodhe ñāṇaṃ, dukkha-nirodha-gāminiyā paṭipadāya ñāṇaṃ ayaṃ vuccati, bhikkhave, sammādiṭṭhi. Katamo ca, bhikkhave, sammāsaṅkappo? Yo kho, bhikkhave, nekkhamma-saṅkappo , abyāpāda-saṅkappo, avihiṃsā-saṅkappo ayaṃ vuccati, bhikkhave, sammāsaṅkappo. Katamā ca, bhikkhave, sammāvācā? Yā kho, bhikkhave, musāvādā veramaṇī, pisuṇāya vācāya veramaṇī, pharusāya vācāya veramaṇī, samphappalāpā veramaṇī ayaṃ vuccati, bhikkhave, sammāvācā. Katamo ca, bhikkhave, sammā-kammanto? Yā kho, bhikkhave, pāṇātipātā veramaṇī, adinnādānā veramaṇī, abrahmacariyā veramaṇī ayaṃ vuccati, bhikkhave, sammā-kammanto. Katamo ca, bhikkhave, sammā-ājīvo? Idha, bhikkhave, ariya-sāvako micchā-ājīvaṃ pahāya sammā-ājīvena jīvitaṃ kappeti ayaṃ vuccati, bhikkhave, sammā-ājīvo. Katamo ca, bhikkhave, sammāvāyāmo? Idha, bhikkhave, bhikkhu anuppannānaṃ pāpakānaṃ akusalānaṃ dhammānaṃ anuppādāya chandaṃ janeti vāyamati vīriyaṃ ārabhati cittaṃ paggaṇhāti padahati; uppannānaṃ pāpakānaṃ akusalānaṃ dhammānaṃ pahānāya chandaṃ janeti vāyamati vīriyaṃ ārabhati cittaṃ paggaṇhāti padahati; anuppannānaṃ kusalānaṃ dhammānaṃ uppādāya chandaṃ janeti vāyamati vīriyaṃ ārabhati cittaṃ paggaṇhāti padahati; uppannānaṃ kusalānaṃ dhammānaṃ ṭhitiyā asammosāya bhiyyobhāvāya vepullāya bhāvanāya pāripūriyā chandaṃ janeti vāyamati vīriyaṃ ārabhati cittaṃ paggaṇhāti padahati. Ayaṃ vuccati, bhikkhave, sammāvāyāmo. Katamā ca, bhikkhave, sammāsati? Idha, bhikkhave, bhikkhu kāye kāyānupassī viharati ātāpī sampajāno satimā, vineyya loke abhijjhā-domanassaṃ. Vedanāsu vedanānupassī viharati ātāpī sampajāno satimā, vineyya loke abhijjhā-domanassaṃ. Citte cittānupassī viharati ātāpī sampajāno satimā, vineyya loke abhijjhā-domanassaṃ. Dhammesu dhammānupassī viharati ātāpī sampajāno satimā, vineyya loke abhijjhā-domanassaṃ. Ayaṃ vuccati, bhikkhave, sammāsati. Katamo ca, bhikkhave, sammāsamādhi? Idha, bhikkhave, bhikkhu vivicceva kāmehi vivicca akusalehi dhammehi savitakkaṃ savicāraṃ vivekajaṃ pītisukhaṃ paṭhamaṃ jhānaṃ upasampajja viharati. Vitakkavicārānaṃ vūpasamā ajjhattaṃ sampasādanaṃ cetaso ekodibhāvaṃ avitakkaṃ avicāraṃ samādhijaṃ pītisukhaṃ dutiyaṃ jhānaṃ upasampajja viharati. Pītiyā ca virāgā upekkhako ca viharati sato ca sampajāno, sukhañca kāyena paṭisaṃvedeti yaṃ taṃ ariyā ācikkhanti: ‘upekkhako satimā sukhavihārī’ti tatiyaṃ jhānaṃ upasampajja viharati. Sukhassa ca pahānā dukkhassa ca pahānā pubbeva somanassa-domanassānaṃ atthaṅgamā adukkham-asukhaṃ upekkhā-sati-pārisuddhiṃ catutthaṃ jhānaṃ upasampajja viharati. Ayaṃ vuccati, bhikkhave, sammāsamādhi ti. Idaṃ vuccati, bhikkhave, dukkha·nirodha·gāminī paṭipadā ariya·saccaṃ. Iti ajjhattaṃ vā dhammesu dhammānupassī viharati, bahiddhā vā dhammesu dhammānupassī viharati, ajjhatta-bahiddhā vā dhammesu dhammānupassī viharati; samudaya-dhamm·ānupassī vā dhammesu viharati, vaya-dhamm·ānupassī vā dhammesu viharati, samudaya-vaya-dhamm·ānupassī vā dhammesu viharati; ‘atthi dhammā’ ti vā pan·assa sati paccupaṭṭhitā hoti, yāvadeva ñāṇa·mattāya paṭissati·mattāya, a·nissito ca viharati, na ca kiñci loke upādiyati. Evam·pi kho, bhikkhave, bhikkhu dhammesu dhammānupassī viharati, catūsu ariyasaccesu. of dukkha-domanassa, the attainment of the right way, the realization of Nibbāna, that is to say the four satipaṭṭhānas.” Thus has it been said, and on the basis of all this has it been said. Thus spoke the Bhagavā. Delighted, the bhikkhus welcomed the words of the Bhagavā. Yo hi koci, bhikkhave, ime cattāro satipaṭṭhāne evaṃ bhāveyya satta·vassāni, tassa dvinnaṃ phalānaṃ aññataraṃ phalaṃ pāṭikaṅkhaṃ: diṭṭheva dhamme aññā, sati vā upādisese anāgāmitā. Tiṭṭhantu, bhikkhave, satta·vassāni. Yo hi koci, bhikkhave, ime cattāro satipaṭṭhāne evaṃ bhāveyya cha vassāni, tassa dvinnaṃ phalānaṃ aññataraṃ phalaṃ pāṭikaṅkhaṃ: diṭṭheva dhamme aññā, atthi vā upādisese anāgāmitā. Tiṭṭhantu, bhikkhave, cha vassāni. Yo hi koci, bhikkhave, ime cattāro satipaṭṭhāne evaṃ bhāveyya pañca vassāni, tassa dvinnaṃ phalānaṃ aññataraṃ phalaṃ pāṭikaṅkhaṃ: diṭṭheva dhamme aññā, atthi vā upādisese anāgāmitā. Tiṭṭhantu, bhikkhave, pañca vassāni. Yo hi koci, bhikkhave, ime cattāro satipaṭṭhāne evaṃ bhāveyya cattāri vassāni, tassa dvinnaṃ phalānaṃ aññataraṃ phalaṃ pāṭikaṅkhaṃ: diṭṭheva dhamme aññā, atthi vā upādisese anāgāmitā. Tiṭṭhantu, bhikkhave, cattāri vassāni. Yo hi koci, bhikkhave, ime cattāro satipaṭṭhāne evaṃ bhāveyya tīṇī vassāni, tassa dvinnaṃ phalānaṃ aññataraṃ phalaṃ pāṭikaṅkhaṃ: diṭṭheva dhamme aññā, atthi vā upādisese anāgāmitā. Tiṭṭhantu, bhikkhave, tīṇī vassāni. Yo hi koci, bhikkhave, ime cattāro satipaṭṭhāne evaṃ bhāveyya dve vassāni, tassa dvinnaṃ phalānaṃ aññataraṃ phalaṃ pāṭikaṅkhaṃ: diṭṭheva dhamme aññā, atthi vā upādisese anāgāmitā. Tiṭṭhantu, bhikkhave, dve vassāni. Yo hi koci, bhikkhave, ime cattāro satipaṭṭhāne evaṃ bhāveyya ekaṃ vassaṃ, tassa dvinnaṃ phalānaṃ aññataraṃ phalaṃ pāṭikaṅkhaṃ: diṭṭheva dhamme aññā, atthi vā upādisese anāgāmitā. Tiṭṭhantu, bhikkhave, ekaṃ vassaṃ. Yo hi koci, bhikkhave, ime cattāro satipaṭṭhāne evaṃ bhāveyya satta māsāni, tassa dvinnaṃ phalānaṃ aññataraṃ phalaṃ pāṭikaṅkhaṃ: diṭṭheva dhamme aññā, atthi vā upādisese anāgāmitā. Tiṭṭhantu, bhikkhave, satta māsāni. Yo hi koci, bhikkhave, ime cattāro satipaṭṭhāne evaṃ bhāveyya cha māsāni, tassa dvinnaṃ phalānaṃ aññataraṃ phalaṃ pāṭikaṅkhaṃ: diṭṭheva dhamme aññā, atthi vā upādisese anāgāmitā. Tiṭṭhantu, bhikkhave, cha māsāni. Yo hi koci, bhikkhave, ime cattāro satipaṭṭhāne evaṃ bhāveyya pañca māsāni, tassa dvinnaṃ phalānaṃ aññataraṃ phalaṃ pāṭikaṅkhaṃ: diṭṭheva dhamme aññā, atthi vā upādisese anāgāmitā. Tiṭṭhantu, bhikkhave, pañca māsāni. Yo hi koci, bhikkhave, ime cattāro satipaṭṭhāne evaṃ bhāveyya cattāri māsāni, tassa dvinnaṃ phalānaṃ aññataraṃ phalaṃ pāṭikaṅkhaṃ: diṭṭheva dhamme aññā, atthi vā upādisese anāgāmitā. Tiṭṭhantu, bhikkhave, cattāri māsāni. Yo hi koci, bhikkhave, ime cattāro satipaṭṭhāne evaṃ bhāveyya tīṇi māsāni, tassa dvinnaṃ phalānaṃ aññataraṃ phalaṃ pāṭikaṅkhaṃ: diṭṭheva dhamme aññā, atthi vā upādisese anāgāmitā. Tiṭṭhantu, bhikkhave, tīṇi māsāni. Yo hi koci, bhikkhave, ime cattāro satipaṭṭhāne evaṃ bhāveyya dvi māsāni, tassa dvinnaṃ phalānaṃ aññataraṃ phalaṃ pāṭikaṅkhaṃ: diṭṭheva dhamme aññā, atthi vā upādisese anāgāmitā. Tiṭṭhantu, bhikkhave, dve māsāni. Yo hi koci, bhikkhave, ime cattāro satipaṭṭhāne evaṃ bhāveyya ekaṃ māsaṃ, tassa dvinnaṃ phalānaṃ aññataraṃ phalaṃ pāṭikaṅkhaṃ: diṭṭheva dhamme aññā, atthi vā upādisese anāgāmitā. Tiṭṭhantu, bhikkhave, ekaṃ māsaṃ. Yo hi koci, bhikkhave, ime cattāro satipaṭṭhāne evaṃ bhāveyya aḍḍha·māsaṃ, tassa dvinnaṃ phalānaṃ aññataraṃ phalaṃ pāṭikaṅkhaṃ: diṭṭheva dhamme aññā, atthi vā upādisese anāgāmitā. Tiṭṭhantu, bhikkhave, aḍḍha·māso. Yo hi koci, bhikkhave, ime cattāro satipaṭṭhāne evaṃ bhāveyya sattāhaṃ, tassa dvinnaṃ phalānaṃ aññataraṃ phalaṃ pāṭikaṅkhaṃ: diṭṭheva dhamme aññā, atthi vā upādisese anāgāmitā. ‘Ekāyano ayaṃ, bhikkhave, maggo sattānaṃ visuddhiyā, soka-paridevānaṃ samatikkamāya, dukkha-domanassānaṃ atthaṅgamāya, ñāyassa adhigamāya, nibbānassa sacchikiriyāya, yadidaṃ cattāro satipaṭṭhānā’ ti. Iti yaṃ taṃ vuttaṃ, idam·etaṃ paṭicca vuttaṃ ti. Idam·avoca bhagavā. Attamanā te bhikkhū bhagavato bhāsitaṃ abhinanduṃ ti. page containing the respective topics. 2. Dhammapada Pali with hindi translation of this important book from the cannon is very valuable. 3. Dhammavani sangraha Inspiring couplets in pali with hindi translations. of facebook, twitter etc., to propagate TPSTEEM thru FOA1TRPUVF. health mind in a healthy body. of people all over the world in 105 Classical languages. Poṭṭhapāda asks various questions reagrding the nature of Saññā. Now, lord, does perception arise first, and knowledge after; or does knowledge arise first, and perception after; or do perception & knowledge arise simultaneously? Potthapada, perception arises first, and knowledge after. And the arising of knowledge comes from the arising of perception. One discerns, ‘It’s in dependence on this that my knowledge has arisen.’ Through this line of reasoning one can realize how perception arises first, and knowledge after, and how the arising of knowledge comes from the arising of perception. important set of instructions for us nowadays. And what, Ānanda, is that discourse on the Dhamma which is called Dhammādāsa, possessed of which the ariyasāvaka, if he so desires, can declare of himself: ‘For me, there is no more niraya, no more tiracchāna-yoni, no more pettivisaya, no more state of unhappiness, of misfortune, of misery, I am a sotāpanna, by nature free from states of misery, certain of being destined to sambodhi? I will expound the discourse on the Dhamma which is called Dhammādāsa, possessed of which the ariyasāvaka, if he so desires, can declare of himself: ‘For me, there is no more niraya, no more tiracchāna-yoni, no more pettivisaya, no more state of unhappiness, of misfortune, of misery, I am a sotāpanna, by nature free from states of misery, certain of being destined to sambodhi. This, Ānanda, is the discourse on the Dhamma which is called Dhammādāsa, possessed of which the ariyasāvaka, if he so desires, can declare of himself: ‘For me, there is no more niraya, no more tiracchāna-yoni, no more pettivisaya, no more state of unhappiness, of misfortune, of misery, I am a sotāpanna, by nature free from states of misery, certain of being destined to sambodhi. Sato should you remain, bhikkhus, and sampajānas. This is our intruction to you. Thus, bhikkhus, is a bhikkhu sampajāna. Sato should you remain, bhikkhus, and sampajānas. This is our intruction to you. out of reverence for the Tathagata. remain dhamm’ānudhamma’p'paṭipanna, sāmīci’p'paṭipanna, living in accordance with the Dhamma’. you as the Dhamma and the Vinaya, will be your Teacher after my passing away. શિક્ષક મૃત્યુ સમય આસપાસ બુદ્ધના અનેક સમર્પિત અનુયાયીઓ વચ્ચે unfolds છે. + IoT (વસ્તુઓ સૂઝ-નેટ) સાથે એક જાગ્રત મુક્તિ ચળવળ (TPSTEEM). વેબસાઇટ્સ, બ્લોગ્સ બનાવીને વસ્તુઓના ઈન્ટરનેટ મદદથી શરૂ કરો. FOA1TRPUVF થ્રુ TPSTEEM પ્રચાર ફેસબુક શ્રેષ્ઠ ઉપયોગ કરે છે, ટ્વિટર વગેરે. Poṭṭhapāda Sanna પ્રકૃતિ reagrding વિવિધ પ્રશ્નો પૂછે છે. હવે, પ્રભુ, દ્રષ્ટિ પ્રથમ ઊભી થાય છે, અને જ્ઞાન પછી કરે છે; અથવા જ્ઞાન પ્રથમ ઊભી થાય છે, અને દ્રષ્ટિ પછી કરે છે; અથવા દ્રષ્ટિ અને જ્ઞાન સાથે ઊભી છે? પછી આ વાક્ય, અને કેવી રીતે જ્ઞાન થતા દ્વારા ખ્યાલ ના થતા આવે છે. પ્રકૃતિ દ્વારા દુઃખી સ્ટેટસથી મફત છું, sambodhi નક્કી હોવાની ચોક્કસ? જાહેર કરી શકે છે ધમ્મા જે Dhammādāsa કહેવામાં આવે છે, પર પ્રવચન છે , દુઃખ કોઈ વધુ રાજ્ય કમનસીબી, દુઃખી ના, હું sotāpanna દુઃખી સ્ટેટ્સ, sambodhi નક્કી હોવાની ચોક્કસ મુક્ત પ્રકૃતિ દ્વારા છું. Sato તમે રહેવું જોઈએ, bhikkhus, અને sampajānas. આ તમને અમારી intruction છે. આમ, bhikkhus, એક ભીક્ખુ sampajāna છે. Sato તમે રહેવું જોઈએ, bhikkhus, અને sampajānas. આ તમને અમારી intruction છે. પાવડર, અને છોડો અને છૂટાછવાયા અને તથાગત પૂજા તે પર strewn છે. અને સ્વર્ગીય અવાજો અને સ્વર્ગીય વગાડવા ના અવાજ તથાગત માટે આદર બહાર હવામાં સંગીત બનાવે છે. રીતે, પૂજે, esteems, શ્રદ્ધાંજલિ અર્પી, અને તથાગત સન્માન સૌથી ઉત્તમ શ્રદ્ધાંજલિ સાથે. તેથી, આનંદ, તમે પોતે જ આમ તાલીમ જોઈએ: ‘અમે dhamm’ānudhamma’p'paṭipanna, sāmīci’p'paṭipanna રહેશે ધમ્મા અનુસાર રહેતા. - ‘તમે કેટલાક માટે, આનંદ, તે આમ થઇ શકે છે:’ શિક્ષક શબ્દો પૂરા કર્યા છે, ત્યાં લાંબા સમય સુધી એક શિક્ષક છે. ‘ પરંતુ આ આનંદ, નથી, તેથી વિચારણા કરવી જોઇએ. એટલે કે, આનંદ, જે મેં શીખવ્યું છે અને ધમ્મા અને વિનય તરીકે તમે માટે જાણીતા હતા, મારા દૂર પસાર કર્યા પછી, તમારા શિક્ષક હશે. જાહેર કરી શકે છે ધમ્મા જે Dhammādāsa કહેવામાં આવે છે, પર પ્રવચન છે , દુઃખ કોઈ વધુ રાજ્ય કમનસીબી, દુઃખી ના, હું sotāpanna દુઃખી પ્રકૃતિ freefrom સ્ટેટ્સ, sambodhi નક્કી હોવાની ચોક્કસ દ્વારા છું. આમ, bhikkhus, એક ભીક્ખુ sampajāno છે. Sato તમે રહેવું જોઈએ, bhikkhus, અને sampajānos. આ તમને અમારી intruction છે. ‘તમે કેટલાક માટે, આનંદ, તે આમ થઇ શકે છે:’ શિક્ષક શબ્દો પૂરા કર્યા છે, ત્યાં લાંબા સમય સુધી એક શિક્ષક છે. ‘ પરંતુ આ આનંદ, નથી, તેથી વિચારણા કરવી જોઇએ. એટલે કે, આનંદ, જે મેં શીખવ્યું છે અને ધમ્મા અને વિનય તરીકે તમે માટે જાણીતા હતા, મારા દૂર પસાર કર્યા પછી, તમારા શિક્ષક હશે. એક ખૂબ જ મહત્વપૂર્ણ સમૂહ હોઇ બનાવે છે પછી તેના શિષ્યો ખાતર આપી ભેગી. સુપ્રીમ જ્ઞાન) પ્રાપ્ત કરવા માટે જરૂરી બાબતો છે સંદર્ભ સાથે? સર્વોચ્ચ મેળવવા માટે જરૂરી બાબતો છે એક બુદ્ધ) જ્ઞાન સંપૂર્ણતા માટે વિકસાવવામાં આવે છે. મેળવવા માટે જરૂરી બાબતો છે) સંપૂર્ણતા માટે વિકસાવવામાં આવે છે સમજે છે. bojjhaṅgas અથવા બુદ્ધ સુપ્રીમ જ્ઞાન મેળવવા માટે જરૂરી બાબતો છે). અથવા બુદ્ધ સુપ્રીમ જ્ઞાન મેળવવા માટે જરૂરી બાબતો છે). મેળવવા માટે જરૂરી બાબતો છે). સાત bojjhaṅgas સંદર્ભ (અથવા ઘટક સાથે, ત્યાં સાત bojjhaṅgas અથવા બુદ્ધ સુપ્રીમ જ્ઞાન મેળવવા માટે જરૂરી બાબતો) છે.